Die-hard Apple fans have long suggested that the company might be better off without the scrutiny that comes with being publicly traded. On the heels of another record-breaking quarter, AppleInsider took a look at what going private might mean for the computing juggernaut. Apple has a reputation for being perhaps the most nimble "big company" in Silicon Valley —internalizing risk and prioritizing products over profits, in a manner usually reserved for much smaller firms. In 2010, Steve Jobs fondly referred to Apple as "the biggest startup on the planet." There's just one difference between Apple and the startups it emulates and inspires: Apple shares are traded on the NASDAQ. When Jobs made that remark, his company was worth nearly $275 billion. Going public affords businesses a number of advantages, but it also exposes them to a much higher administrative burden. Dealing with federal reporting and management regulations —not to mention activist shareholders —can be a major distraction for corporate leadership. For these and other reasons, Apple watchers often suggest that Tim Cook & Co. should take their ball and go home, leaving the stock market and the Securities and Exchange Commission behind. So what exactly would that require? Note: For the purposes of this fantasy, we're ignoring the significant regulatory issues that would almost certainly arise with a take-private transaction of this magnitude. We're focused only on the financial aspect. As with most mergers and acquisitions, the stockholders of a company being taken private will only agree to the transaction if they receive a hefty premium on their shares. Michael Dell paid a 37 percent markup to take his eponymous PC maker private in 2013; Freescale's 2006 sale to private equity fund Blackstone netted a 36 percent premium. Apple shares closed Friday at $128.95, bringing the company's total market cap to $751.1 billion. Add 37 percent to that and you get a figure that might make Michael Dell faint: $1.03 trillion. For Apple, though, that's not likely to be enough. 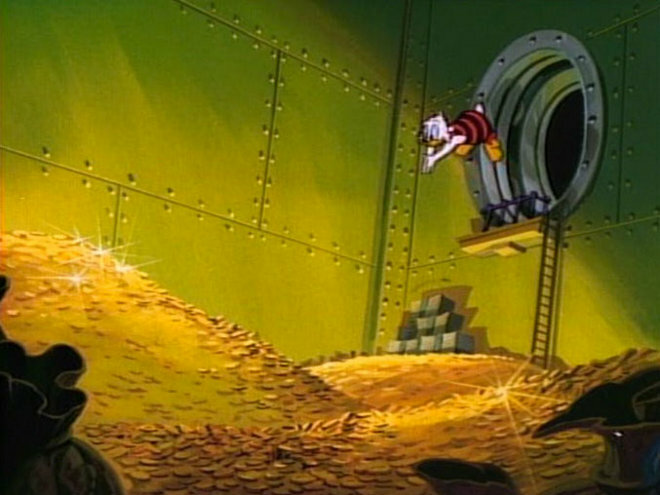 One investment banker who spoke with AppleInsider believes that an Apple buyout —taking into consideration Apple's position at the top of its industry as the most profitable company on earth —would require an offer of at least 50 percent to be viable, which would add another $140 billion to the price tag. Another banker from a rival firm thinks the total cost of a leveraged buyout would approach $2 trillion. A U.S. $100 bill weighs about one gram. One short ton of $100 bills net approximately $91 million. The Caterpillar 797, one of the world's largest dump trucks, can hold up to 400 short tons. Apple's hypothetical buyer would need 55 Cat 797s to deliver the 22,000 short tons of $100 bills for that $2 trillion buyout. 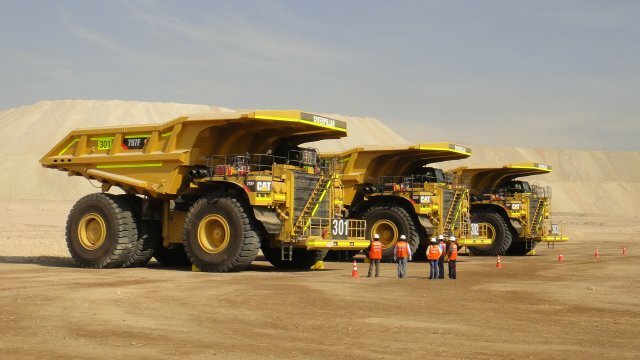 Even if the buyer could scrounge up that many dump trucks, they wouldn't be able to make the delivery. According to the Federal Reserve, there's only $1.31 trillion worth of U.S. currency in circulation around the world. Nodding back in the direction of reality, the buyer would of course make any transaction of such size via a wire transfer or paper check. Even our more conservative $1.03 trillion estimate would be many orders of magnitude larger than the biggest check ever known to be written, a $9 billion capital injection from Mitsubishi UFJ to Morgan Stanley in 2008. $526 billion: Google, with Dell's 37% premium. A more economical option for trillionaires who want a Silicon Valley foothold. $240 billion: The nation of Luxembourg, for four times its GDP. European corporations love Luxembourg's tax policies. $116 billion: Every team in Major League Baseball, the NFL, and the NBA, along with the 20 most valuable soccer teams in the world. $80 billion: Privately fund the U.S. Department of Health and Human Services for one year. World's largest charitable tax deduction. 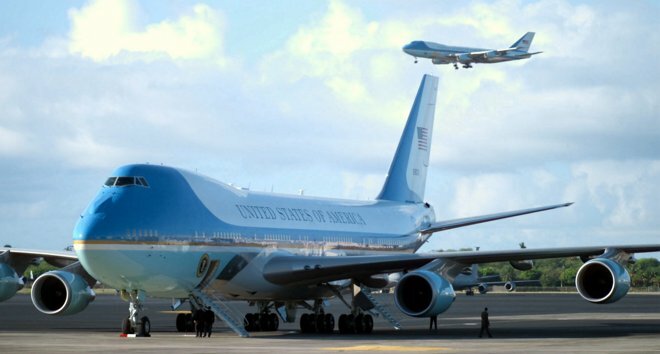 $660 million: The twin Boeing 747 aircraft that serve as Air Force One. Necessary for whistlestop tours of all 112 sports teams. Together, these clearly sound investments would cost around $966 billion. That leaves $77 billion to be used for typical billionaire things —private islands, a fleet of Bugatti Veyrons in assorted colors, and tax shelter foundations (made more effective by convenient ownership of a European Union member state). How would it compare to other buyouts? Taking Apple private would be an unprecedented corporate maneuver. No company even half Apple's size has ever been through such a transaction. As it stands today, only Apple could afford to buy itself out. If not for its massive stock buyback program, the company would already have nearly $300 billion in cash (and its stock price might not be quite so high). Even with that head start, they'd have a difficult time finding a bank, or even a consortium of banks, to float the loans necessary to pull it off. To put it in perspective, the biggest private equity deal in history was KKR's 1989 buyout of RJR Nabisco. At the time, it was valued at just over $31 billion —or about $58 billion now, when indexed for inflation. You'd only need two dump trucks for that.